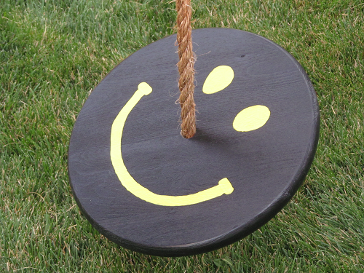 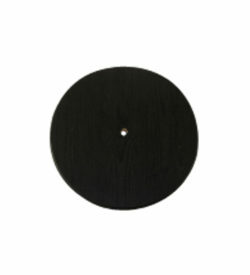 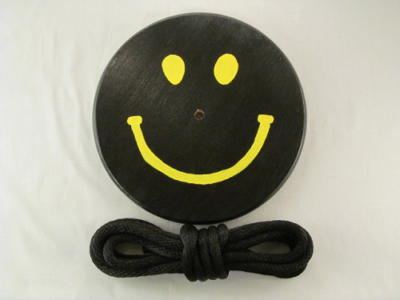 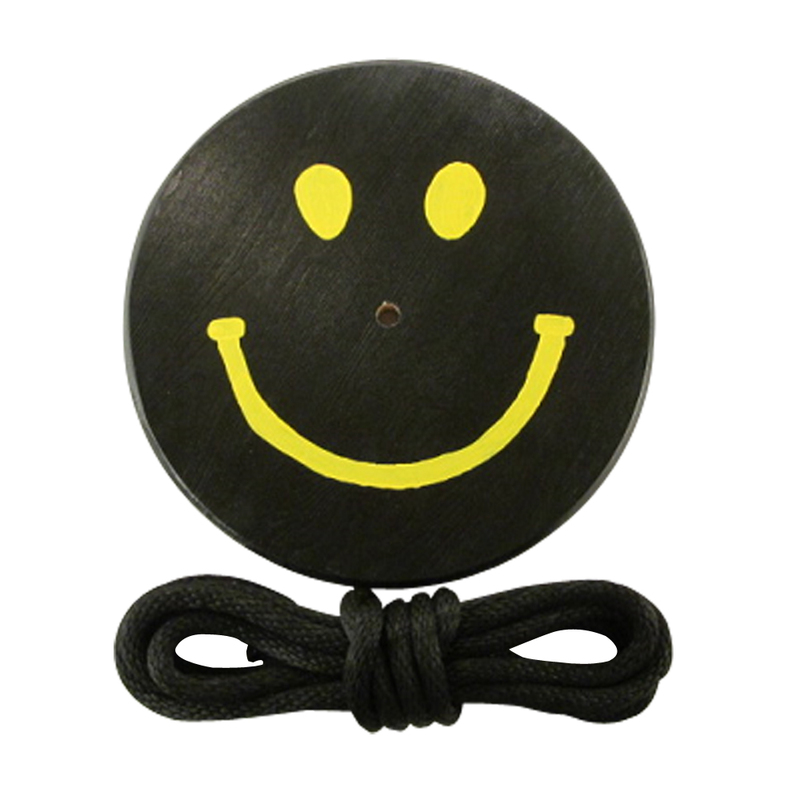 Our Black W/ Yellow Smiley Face wood disc swing is sure to bring a smile to any child’s face. 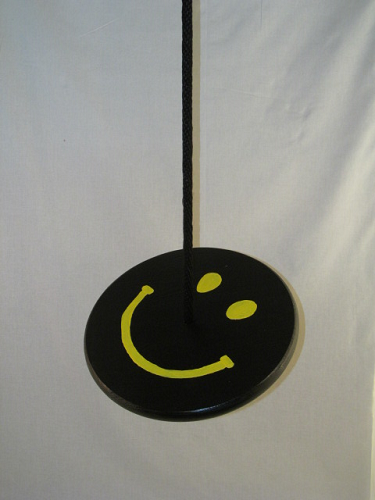 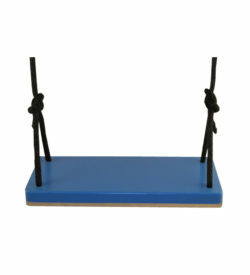 Hand painted with bright colors, it will provide hours of entertainment and swinging fun for children of all ages. 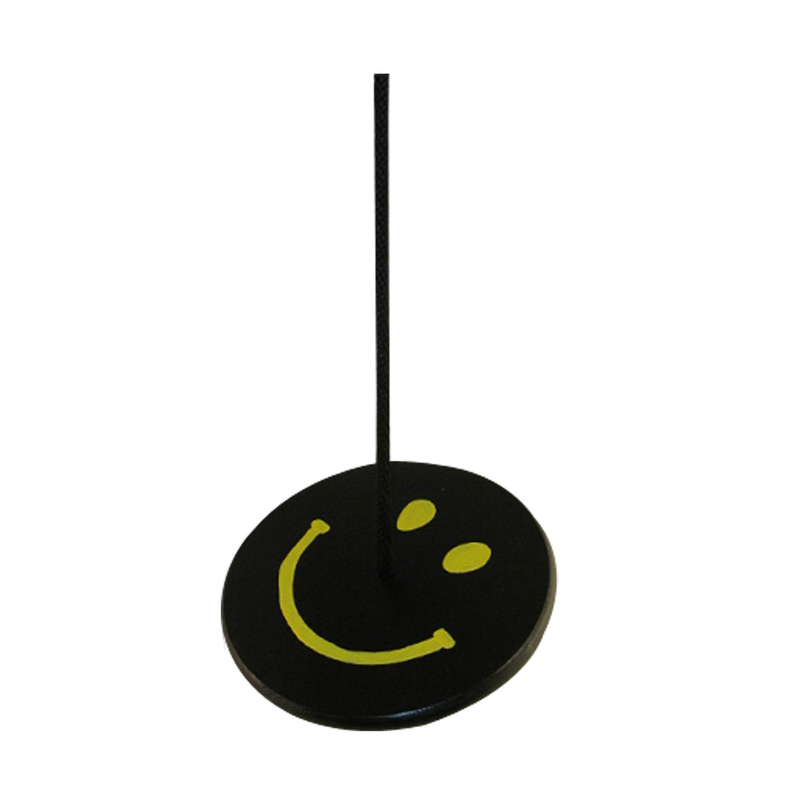 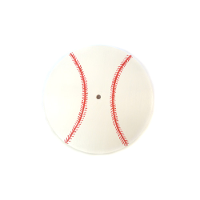 Painted with Industrial Grade Exterior black and bright yellow paint for long lasting durability.